This GlideRite Hardware grab bar will give you stability and reassurance in the bathroom. Durable, ADA-compliant design combine innovative function with a look that easily coordinates with the style of your bath. Dimensions: 18-inch center to center, 21-inches total length, 3-inch depth, 3-inch ring. 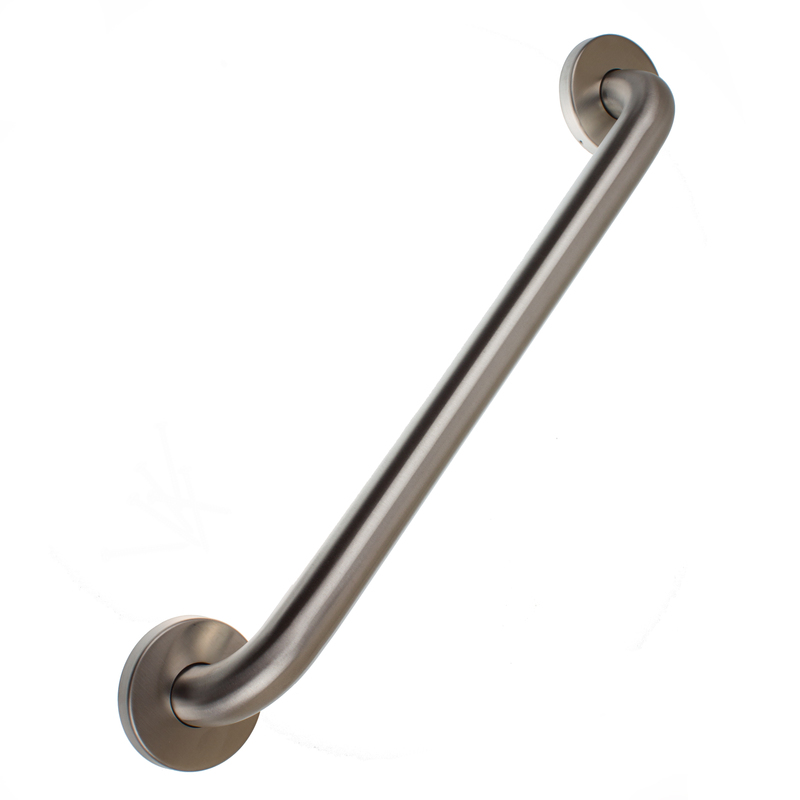 This grab bar is made of 304 stainless steel and has a glacier white powder coated finish and has concealed screws. The bar can support up to 500 pounds of pull force and comes with a limited lifetime warranty.